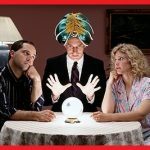 Take a look at the honest reviews and see why PsychicSource.com psychics should NOT be your choice for Psychic Readings! Learn More, Vote and Rate Yourself. Some readers are not rude even when you question them. Site is good in format but it does not work in practice. None of the predictions came true. Very, Very Expensive. They charge clients lots and pay their psychics very little. I had a reading with Pixie in May. She got my hopes up high with all the lies and false hope. Nothing she said has come true. I learned today that her reading was a scam because she promised me that something wouldn’t happen and I learned today that it did happen. I’m glad I never called back for a second reading. The worst experience I had with Psychic Source is that one of their customer service reps hacked my credit card information and was using it to make fraudulent purchases! I have read over a few years with this company trying different advisors- I have spoke with the top- middle- and bottom readers on this sight.Ricky gets all 5 stars but not one prediction ever came true! Told me a old flame got into a motorcycle accident and screwed up his arm- (talked to my old flame- it never happened!) Moira told me I would end up in the city and not be able to keep my horse with me (I live in the country now and have my horse with me)-Loretta got pissed at me cause I reviewed her saying all the things she predicted in over a year I talked to her never happened and when I called her on it she refused to read for me again! Same when I reviewed Anja- the next time she just “couldn’t” connect with me… Clarity-Paige-Kimberly-Therese-Amelia- Kia-Kali-Bridgette-Sammi-Samantha-Stella-Deidre-Colin-Giacomo-Lexi-Elijah-Mal-Cadwen-Rheda-Pixie-Zee-Julie-Sadia-Cynthia-Tami-Heather-Amy to name some I’ve read with- not one prediction came to pass…. a waste of money and they really need to be shut down. I’ve kept a journal on all my readings with these people- nothing ever came to pass- don’t waste your money! They all should be ashamed of themselves praying on people that are down on their luck!As of today- years and months later- not one event has come to pass like they told me! - CONS: Psychic Source - Dont waste your money on any of them! I used Psychic Source for the first time in March 2015.I had one question which I wanted answered. So I asked two different advisors. I wanted to know if they saw me meeting a man who I would marry someday. Both told me yes it would be the second guy who I would meet. They went on the explain how he is and everything. I waited months, then I met someone who I was sure was the one. Long story short, he is not the one and he was almost the complete opposite of what they told me. I did talk to him for a while and when I contacted the two they told me that I would meet someone else. I also talk to other psychics on the site and all I got was different answers. I wish I never contacted them in the first place. I could have saved money.I have since closed my account, call and email customer service to complain.